There was a storybook quality to the landscape of Manhattan last Sunday. The sky was a rich blue color with vivid fluffy clouds. 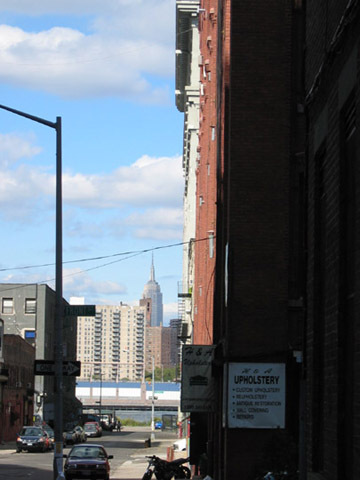 I was going to a restaurant that I talk about far too much, and the stark reality of DUMBO contrasted sharply with the opposite shore. I wasn’t going to have a drink with breakfast, but the bartender really wanted to make one. 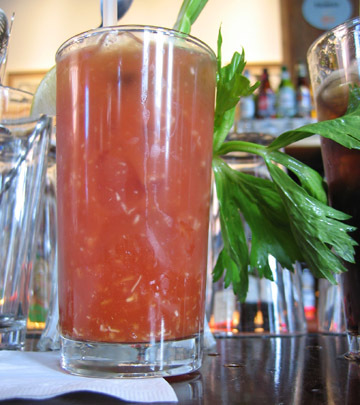 It’s a bit funny really; Bloody Marys are a lot of work for the bartenders to make at Superfine. They don’t use a mix there, and every drink is from scratch! Regardless, it was a pretty drink for a pretty day.